On Saturday 7th October 2017, I was invited by the European Community Media Center Aarhus (EUCMC Aarhus),to give a lecture about how the community media movement approaches to media literacy in Europe. The lecture was part of the European Conference: MEDIA LITERACY: STEP TO INCLUSIVE SOCIETY”, held in Aarhus (Denmark), from 6th to 8th October, 2017. I was representing the European division of the World Association of Community Radio Broadcasters (AMARC Europa) and the Spanish Comunity Radio CUAC FM. The concept of media Literacy has been defined as “the ability to access, analyse, evaluate and create messages across a variety of contexts” (Livingstone, 2004) and includes: “the essential competencies (knowledge, skills and attitude) that allow citizens to engage with media and other information providers effectively and develop critical thinking and life-long learning skills for socializing and becoming active citizens” (Wilson, 2011). According to the World Association of community radio broadcasters (AMARC, 2010), community media are private media actors that fulfil social aims, embodying four characteristics: ownership by the (geographic or stakeholder) community it serves; non-profit making, with social aims only; managed by the community with no public or private, political or commercial external interference; its programming should reflect the goals of the community. In Europe, community radio stations are aware of the social impact and the outcomes of the participation of youth and adults in media.Community media activists have identified and proposed a set of basic skills that make up media literacy as encompassing technical expertise, critical reception practices and content production; such skills are themselves likely to be supported by experience of content production. Media Access is a prerequisite to literacy. However, “in the normal course of their lives, common people has few opportunities to create media content except those people engaged in community/access radio or in amateur audiovisual production” (Livingstone & Thumim, 2003, p. 15-16). CUAC FM, a community radio based in A Coruña (Galicia, Spain), has been presented as an example of good training practices in the third media sector since they implemented (January 2014) a comprehensive annual training program that combines initial training for “new partners” with specialized workshops directed to any partner, allowing them to develop communication skills and techniques that enable them to produce and broadcast their own radio program autonomously, applying the learnt skills. Our training program aimed at people without previous knowledge of radio broadcasting. This is carried out on a monthly basis, with a duration of 10 hours (6 theoretical + 4 practical). From January 2016 until December 2016, CUAC held 6 editions of the initiation course forming a total of 40 students. Module 4: practices in a current program or community project. We also organize seminars, workshops and conference to enhance our critical analysis capacity and comprehension of how media system works. Journalist ethical codes and reflection on the need of plurality, honor and accountability in media (also in CR). 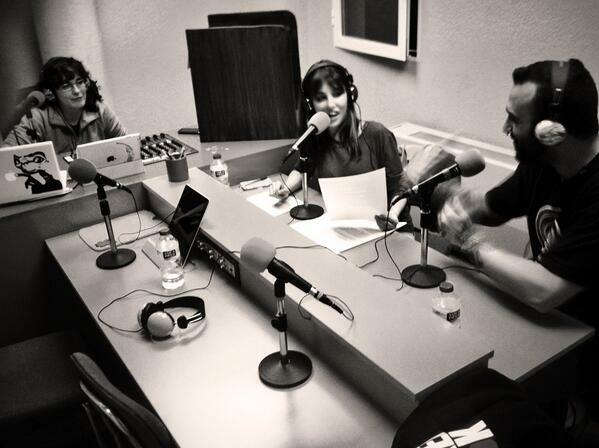 An example of this is the CUAC FM’s Summer School organized in 2016:”Communication for cultural dynamization, social inclusion and community development” or the Radio and Free Software Workshop: Building networks for alternative communication” and the “Galician communication observatory” in wich we invite journalists from Galician alternative media to discuss how to build new media for new societal needs. 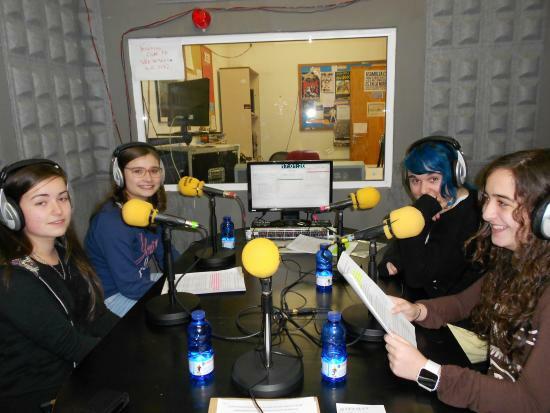 Some experiences of formal and informal agreements with public administrations,social organizations and educative institutions and community radios allow children and young people to have significant broadcasting experiences in a real radio station, obtaining a previous basic training in production and communication subjects.